We’re a team of hard working people working around the clock to make Shine On Boston the best Property Management and Commercial Cleaning company in the Boston area. We take pride in our work, and are confident that you will be satisfied with the results, which is why we offer a 100% satisfaction guarantee. But enough about us – let’s talk about you. Whether you run a business, or own property, you will find that hiring us to clean your space or manage your property will free up time for you to get back to doing what you love. At Shine On Boston, we put our customer’s first and think that you will find dealing with us to be easy. We think it is important to keep our team, our customers and the environment safe, which is why we clean with Shaklee True Green Cleaning Products. Check out our products page for more information. I work as a house cleaning for 6 years, I like what I do. I am a service in the Boston region, I have experience and references. I get happy when I finish my service and see the difference I made. I want to let my customers always satisfied with my work, because I care to provide them with a good job with honesty, affection, care, quality and hygiene. Smart Way Clenaing offers multiple schedules that will allow you to customize the maid service according to your lifestyle and cleaning needs. You may choose to have the maid service weekly, bi-weekly, monthly, or just for that special occasion that suddenly comes up. Whether you select a regular or a deep house cleaning, move-out or post-renovation cleaning, our maids will deliver high quality results. Our house cleaning checklist serves as a guarantee of services that we will perform when cleaning your home. We would be glad to create a customized plan to fit your needs. 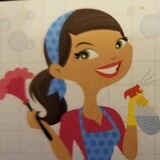 Weekly, bi-weekly or just a one-time customized house cleaning services. 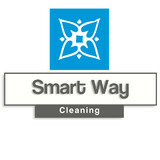 High standard affordable home cleaning services. We love keeping Boston homes shiny clean! If you are looking for reliable, consistent house cleaners for your Hudson area home, you just found them! 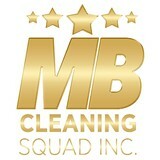 MB Cleaning Squad is a trusted HOUSE CLEANER IN HUDSON and surrounding areas since 2004. We pride ourselves on being on time and delivering services as expected each and every time. Whether you need a one time move in or move our cleaning, a deep spring cleaning or weekly house cleaning services, MB Cleaning Squad will be happy to develop a cleaning program that is tailored to your every need. Cleaning Plus Corp is a house cleaner / cleaning service serving the Lowell, MA area. Services include House Cleaning, Cleaning, Maid Service, Move In & Move Out, Closet Organization, Kitchen Cleaning, Floor Cleaning, Carpet Cleaning, Deep Cleaning, Tile Cleaning, Window Cleaning, Construction Cleaning, Furniture Cleaning, Odor & Stain Removal, Green Cleaning and Office Cleaning. Viviane's Cleaning & Restoration Inc is a house cleaner / cleaning service serving the Salem, MA area since 2002. Services include House Cleaning, Cleaning, Office Cleaning, Commercial Cleaning, Janitorial Services, Construction Cleaning, Roof Cleaning, Window Cleaning, Power Washing, Water Damage Restoration, Emergency Water Removal, Fire Damage Restoration, Smoke Damage Restoration, Mold Remediation, Sewage Cleanup, Odor & Stain Removal, Move In & Move Out, Maid Service, Deep Cleaning, Floor Cleaning, Kitchen Cleaning, Green Cleaning and Building Maintenance. Imagine a clean house without dust, odors, dirty floors, fingerprints on mirrors, stain residue or mildew in your bathroom, and greasy kitchen appliances. Imagine not having to play catch-up with a cleaning routine, and finally have time to focus on your career, social life, and loved ones. You searched for a house cleaner or maid service in Boston, and you've just landed on the right website. Contact me today to schedule your cleaning service appointment. Keep your Home looking and smelling clean with Pro Quality Maid Service from Cape Cod. 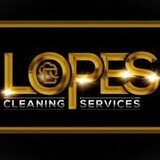 We specialize in house, apartment and common area cleaning you can trust. Cleanzen is a house, maid, and commercial cleaning services. We have an online platform to conveniently book professional cleaning services for homes and office spaces in under 60 seconds. We have a strong commitment to customer satisfaction, this has consistently rated us as the best house & office cleaning service in the greater Boston, MA area. Our 100% Happiness Guarantee is to offer you the best house cleaning & maid service possible. If you aren't 100% satisfied with your cleaning, let us know within 24 hours and we will come back to re-clean it - at no additional charge! Val's Cleaning is a house cleaner / cleaning service serving the Malden, MA area since 2002. Services include House Cleaning, Maid Service, Move In / Move Out Cleaning, Rental Property Cleaning, Office Cleaning, Post Construction Cleaning and Deep Cleaning. ANG Cleaning Services is a house cleaner / cleaning service serving the Framingham, MA area. Services include House Cleaning, Cleaning, Maid Service, Move In Move Out Cleaning, Deep Cleaning, Floor Cleaning, Window Cleaning, Office Cleaning and Commercial Cleaning. What should I expect from a house cleaner in Boston, MA? Most professional Boston house cleaning services will do the same tasks for a basic residential cleaning job: clearing dust and cobwebs from all surfaces and fixtures; wiping all surfaces, including sinks, tubs, counters mirrors; cleaning tile; vacuuming and mopping. You may want to have different rooms detailed at different times, so ask about doing a rotating schedule if you want them to pay extra attention to each space (like kitchens and bathrooms) every other cleaning. Some house cleaning companies in Boston, MA will also offer additional services such as window washing or appliance cleaning, so ask about incorporating them into your deal or doing them as a one time thing if you’re interested. Pick up any clutter (laundry, toys and other gadgets) and put pets in a secure spot so they feel safe and don’t get in the way of the Boston house cleaning company. Put out any specific cleaning products or tools you want used, and make sure to lock up any valuables that you don’t want disturbed. Most housekeeping services in Boston, MA will enter with a spare key or garage code, but if that isn’t something you’re comfortable with then you should arrange for them to come when you are home to let them in. Typically Boston house cleaners expect payment at the time of cleaning, so ensure you have the appropriate form of payment (cash, check or credit card) on hand, plus a little extra for tip if that’s your style and they do a great job. Find Boston house cleaning services on Houzz. Narrow your search in the Professionals section of the website to house cleaners in Boston, MA and contact local companies to ask questions and get quotes.